Fill-in halfback Jarome Luai produced a stunning man of the match performance for Penrith tonight as they answered a week of unrest by thrashing the Warriors 36-4 at Panthers Stadium. 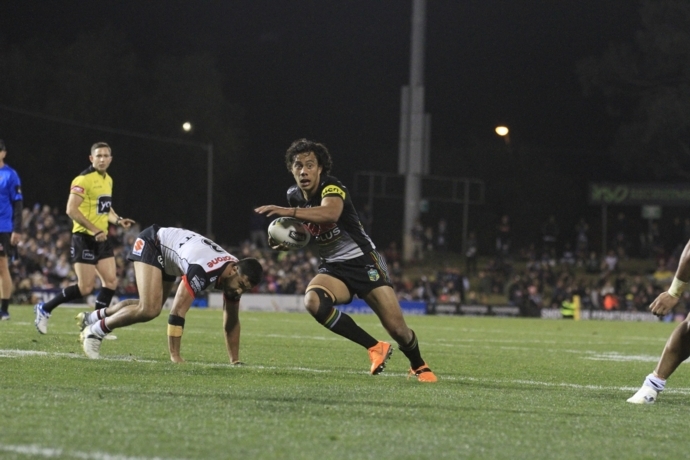 Luai’s short kicking game was superb and he scored two tries as the Panthers kept their spot in the top four in front of more than 10,000 home fans. Penrith were dominant despite being without Nathan Cleary, James Maloney, Tyrone Peachey and a host of injured players including Reagan Campbell-Gillard and Dylan Edwards. The Warriors looked strong early but once Penrith wrestled away the early momentum they never looked like losing, throwing the ball around in a display of enthusiasm and exuberance. A risky but brilliantly placed Luai kick collected by Tyrone Phillips out wide saw Penrith open the scoring in the 25th minute, before Luai scored the first of his double five minutes later. Leading 12-0 at the break, the Panthers went on a try-scoring romp in the second half, kicking off with Waqa Blake grabbing a four-pointer in his return match in the 53rd minute. 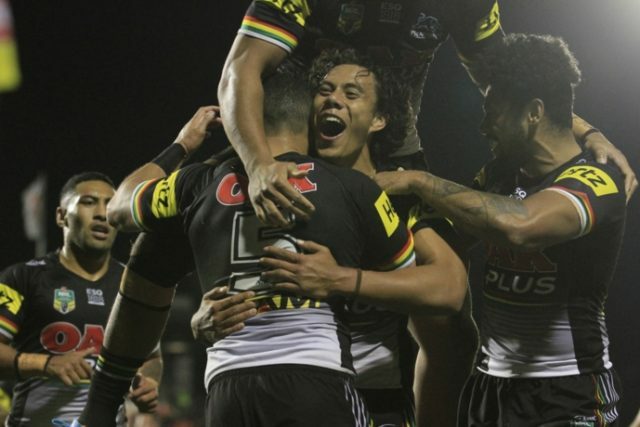 Viliame Kikau, Luai and Corey Harawira-Naera all went over before the Warriors finally crossed the line late to break their point-scoring duck.